Coping with time series cases is becoming an important issue in case based reasoning. 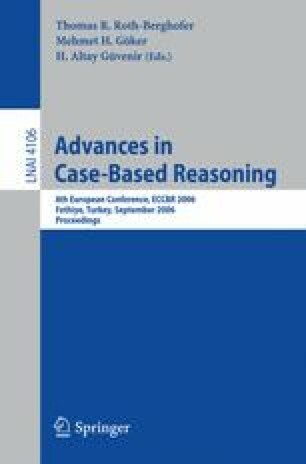 This paper develops a knowledge discovery approach to discovering significant sequences for depicting symbolic time series cases. The input is a case library containing time series cases consisting of consecutive discrete patterns. The proposed approach is able to find from the given case library all qualified sequences that are non-redundant and indicative. A sequence as such is termed as a key sequence. It is shown that the key sequences discovered are highly usable in case characterization to capture important properties while ignoring random trivialities. The main idea is to transform an original (lengthy) time series into a more concise representation in terms of the detected occurrences of key sequences. Three alternate ways to develop case indexes based on key sequences are suggested. These indexes are simply vectors of numbers that are easily usable when matching two time series cases for case retrieval.